Shri Ratan Naval Tata is the Chairman of Indian Hotels who own the Taj Mahal Hotel Mumbai, which was the target of the terrorists on 26/11/2008. What Ratan Tata did for the Mumbai victims. The following is really touching. The relief and assistance was extended to all those who died at the railway station, surroundings including the "Pav-Bhaji" vendor and the pan shop owners. A psychiatric cell was established in collaboration with Tata Institute of Social Sciences to counsel those who needed such help. The thoughts and anxieties going on people’s mind was constantly tracked and where needed psychological help provided. 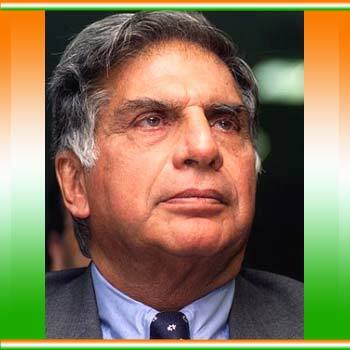 Ratan Tata personally visited the families of all the 80 employees who in some manner – either through injury or getting killed – were affected. The dependents of the employees were flown from outside Mumbai to Mumbai and taken care off in terms of ensuring mental assurance and peace. They were all accommodated in Hotel President for 3 weeks. What is unique is that even the other people, the railway employees, the police staff, the pedestrians who had nothing to do with Tatas were covered by compensation. Each one of them was provided subsistence allowance of Rs.10000 per month for all these people for 6 months. This was the most trying period in the life of the organisation. Senior managers including Ratan Tata were visiting funeral to funeral over the 3 days that were most horrible. Full last salary for life for the family and dependents. The organisation is clear that it is not something that someone can take credit for. It is not some training and development that created such behaviour. If someone suggests that – everyone laughs It has to do with the DNA of the organisation, with the way Tata culture exists and above all with the situation that prevailed that time. He created several institutions which later became icons of progress, culture and modernity. IISc is one such institute. He was told by the rulers that time that he can acquire land for IISc to the extent he could fence the same. He could afford fencing only 400 acres.